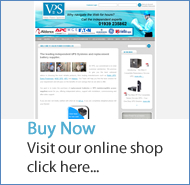 Welcome to the News Centre for VPS UPS Ltd, supplier of Uninterruptible Power Supplies (UPS). This website is designed to provide editors, journalists information on VPS UPS and the products and services we supply in the UK. Re:sources approached Trevor Walker of Value Power Systems to provide total refurbishment of two large Merlin Gerin UPS units along with a full maintenance plans to support these UPS units all year round. VPS have recently worked with one of the UKs major outsourced call centres who are a major supplier to blue chip companies such as SKY, Compare the Market and Money Supermarket. Leading the field in environmentally friendly power protection, the Riello Multi Plus UPS sets the specification for energy saving, flexibility and electrical performance. The latest 30kVA and 40kVA modules are designed to power mini data centres. 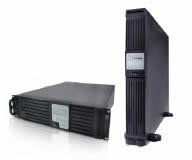 Riello UPS forecasts a surge in UPS and STS installation as UK organisations prepare for the 2012 Olympics. To address this, it has expanded its Master Switch range of Static Transfer Switches (STS) to include models up to 400A. Longer Runtime - The Perfect Power Protection Solution for Mission Critical Users. 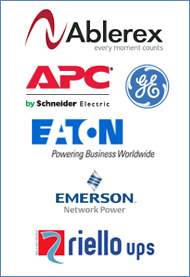 VPS introduces one of the most reliable Power systems on the market. In todays technology-reliant business world, a UPS system has become synonymous with safety and power protection. We can offer a range of UPS products to meet your needs. So please call our service team on 0800 634 3390 or email us at sales@valuepowersystems.co.uk.